If you've followed my blog for awhile now, you know I love my small local family farms! 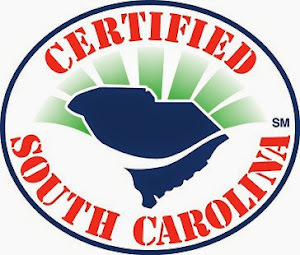 I visit them quite often, purchasing almost all of our groceries at local farms and farmers markets. Many, many times I come a away with something free, as was the case the other day on a visit to Willard Farms to pick up strawberries. While chatting with Jay Willard, he sent his boys out to cut some of his new Kale crop for me to try. Nothing better than cut fresh while you wait, is there? The first thing I wanted to do when I got home is decide how I could incorporate the kale and the strawberries I picked up. Pretty much I was sitting in my kitchen looking at both of them, and then I thought, why not a salad, and even better, what about a salad with a strawberry vinaigrette? I'm really glad I did because I am so happy with these results, and I think you will be too! 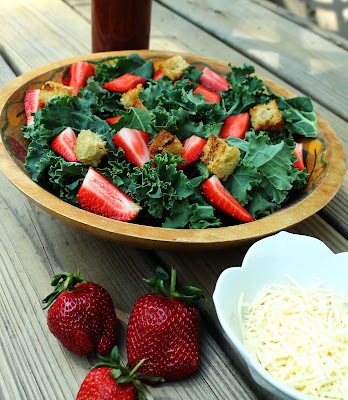 Easy to do, light and delicious to eat, this salad is perfect with the zesty, yet sweet strawberry vinaigrette. 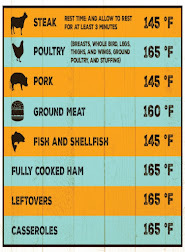 Heat oven to 400°F. Line cookie sheet with cooking parchment paper. Place bread pieces on cookie sheet; brush with olive oil. Bake 8 to 12 minutes, turning halfway through, until toasted. Cool; use as croutons. 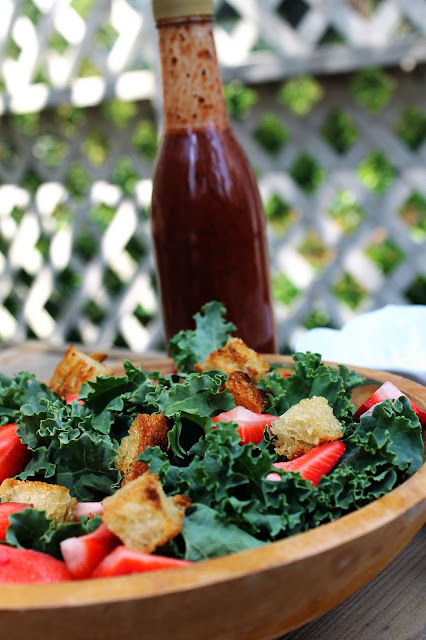 In a large bowl, combine kale and strawberries. 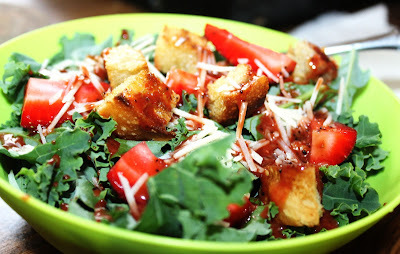 Sprinkle on Parmesan cheese and croutons and toss together. 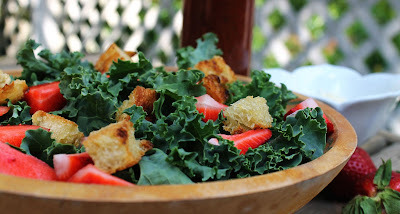 Serve with Strawberry Vinaigrette (recipe below). Toss together strawberries, honey, vinegar, salt, and pepper in a bowl; let stand 15 minutes. 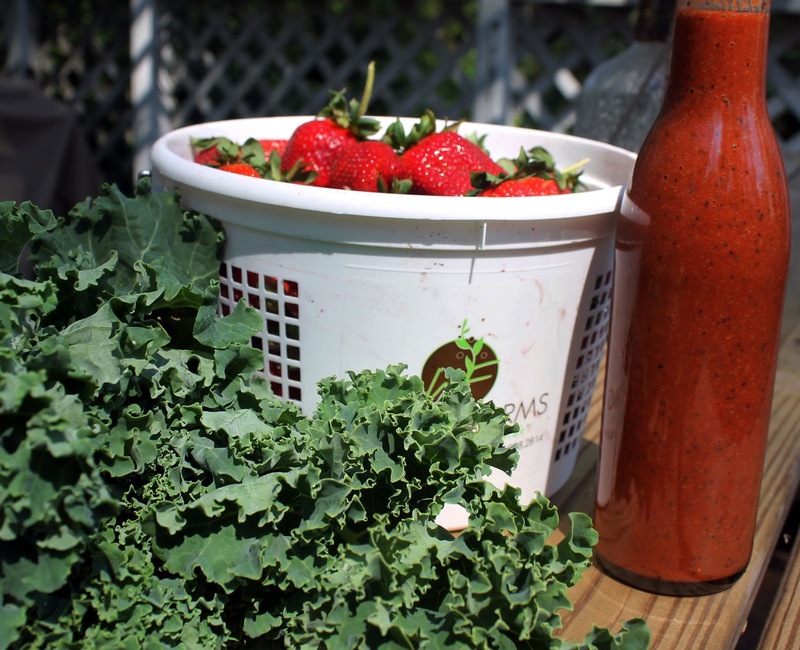 Transfer the strawberry mixture to a blender, and process until smooth, about 30 seconds. Turn blender on low, and gradually add olive oil in a slow, steady stream. Return mixture to bowl, and whisk in poppy seeds. Whisk vinaigrette just before serving. * Cook's note - if you can't find red apple balsamic vinegar, use any dark balsamic vinegar.